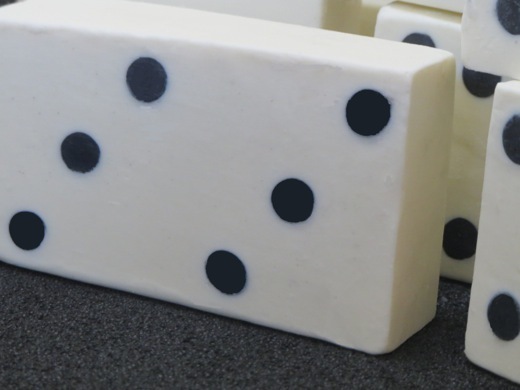 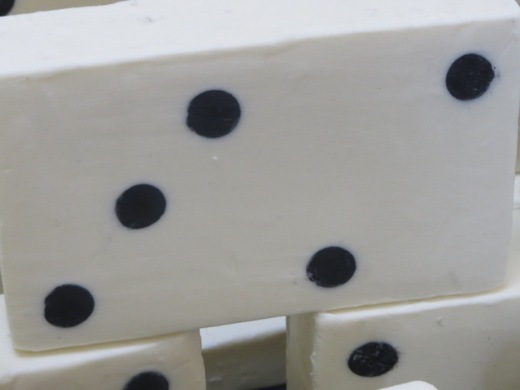 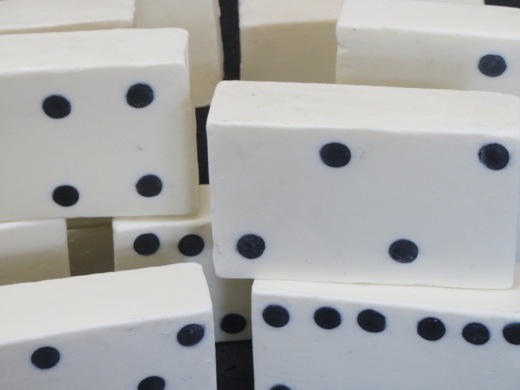 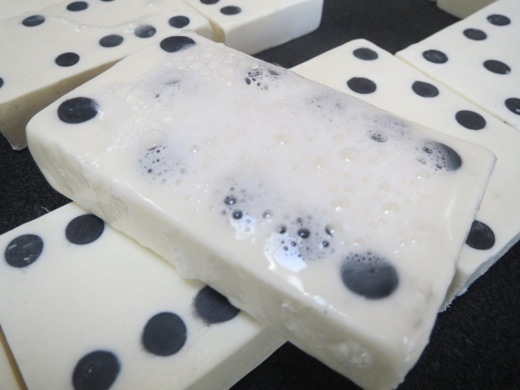 A variation of the same theme of the polka dots soaps, here’s the dominoes soaps. 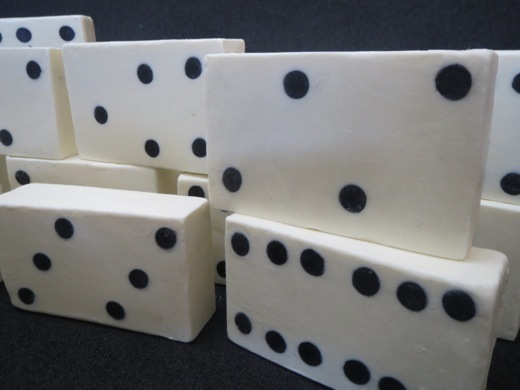 Soaps are basic formulation with palm oil / babassu oil / olive oil / castor oil – 35/30/30/5, SF 5%, lye concentration of 30% and titanium dioxide (1% o/o) and bamboo charcoal (1.5% o/o) to give, respectively, the white and black. 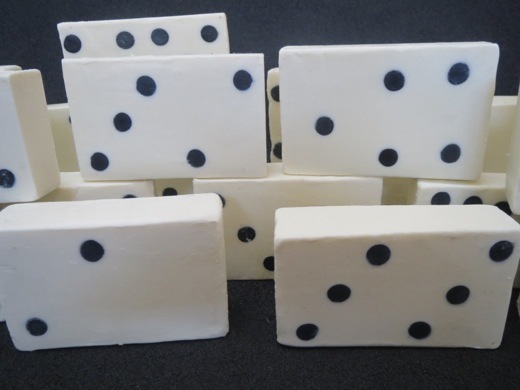 Has been used for aroma essential oil of petitgrain / patchouli – 2/1, 3.5% o/o. 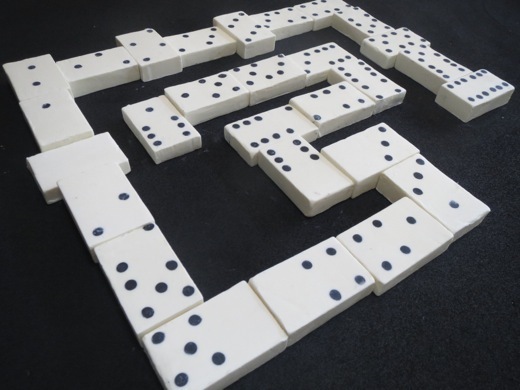 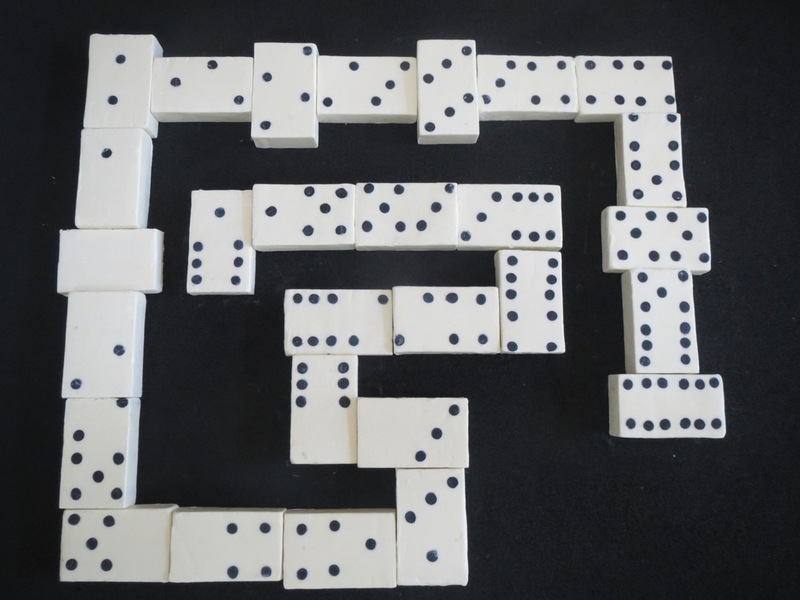 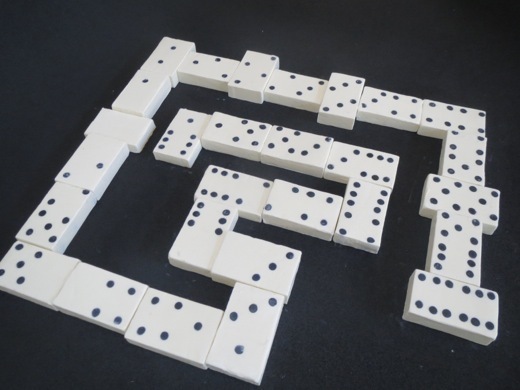 It is the complete set of domino game with 28 soaps approx. 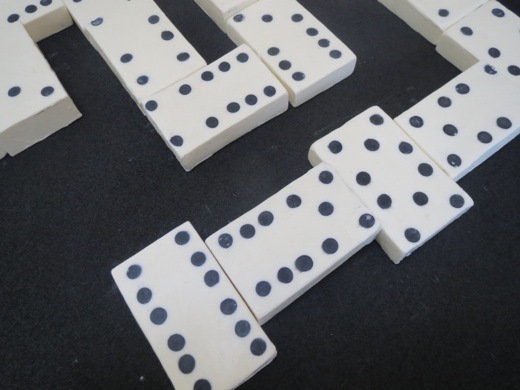 100g (8 x 5 cm). 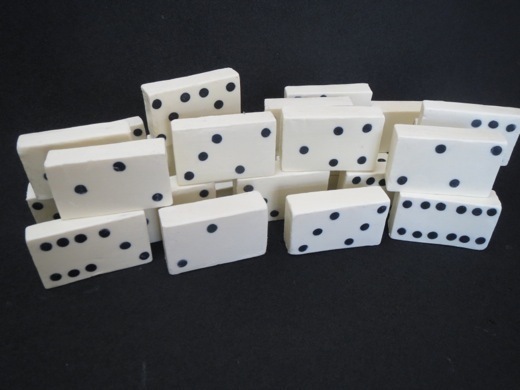 First are drawn every 28 domino game stones, sized for two molds, a 300 x 270 mm and one 300 x 180 mm, left a surplus in both molds. 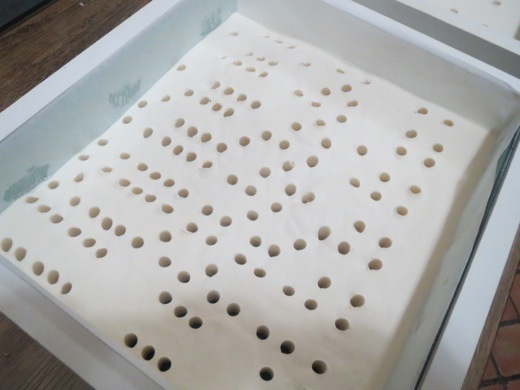 This generates a template for positioning on the modeling clay positioned at the bottom of the mold and marking. 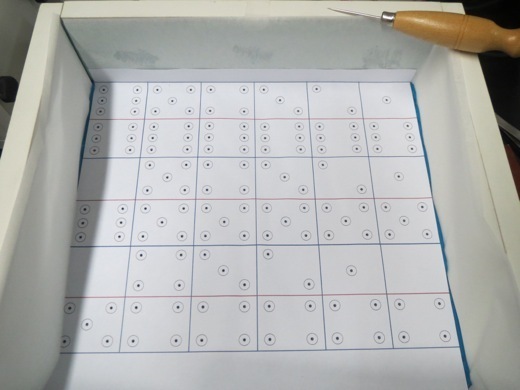 The 8 mm straws are placed over the modeling clay according to the marking made with the template. 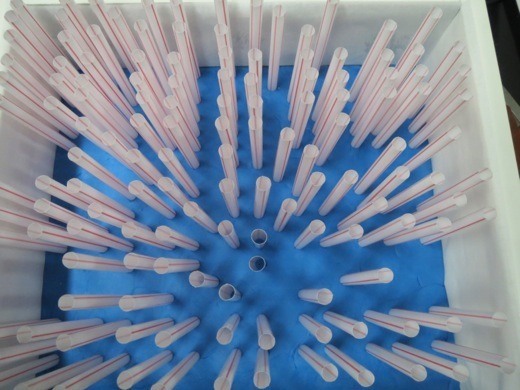 The total was 195 milkshake straws, 132 in the largest mold and the smallest 63. 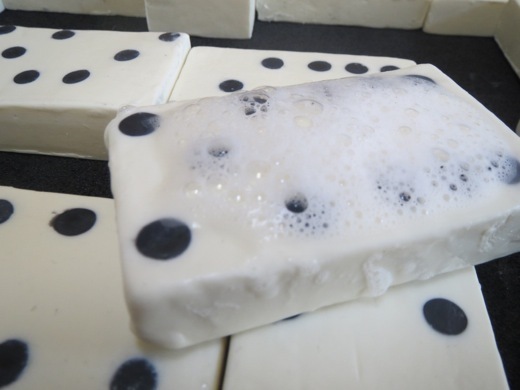 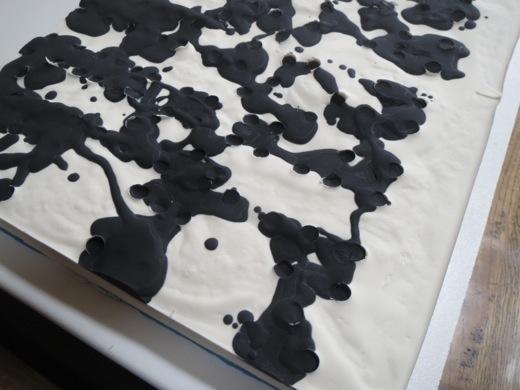 The soap is prepared with light trace and poured in molds. 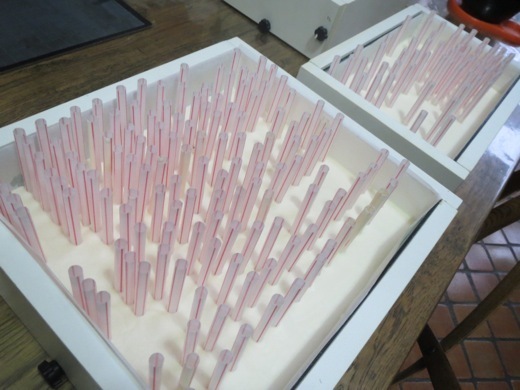 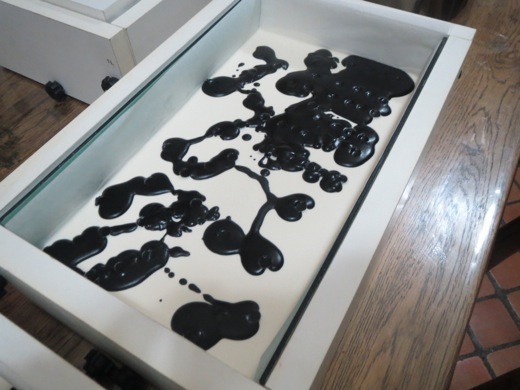 Had a problem caused by the acceleration of the trace due to the essential oil of lemon and the sudden increase in viscosity at the time of placing in the mold, the mold straws thrown down lower. 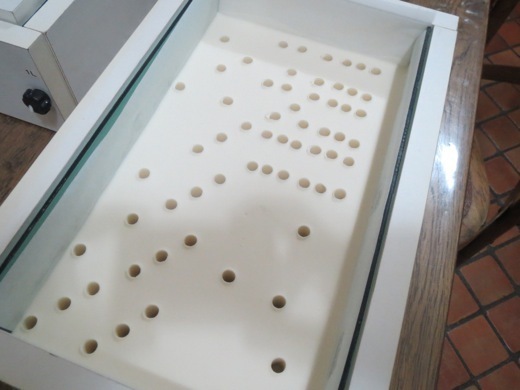 I had to redo the two soap mold and prepare the small mold again. 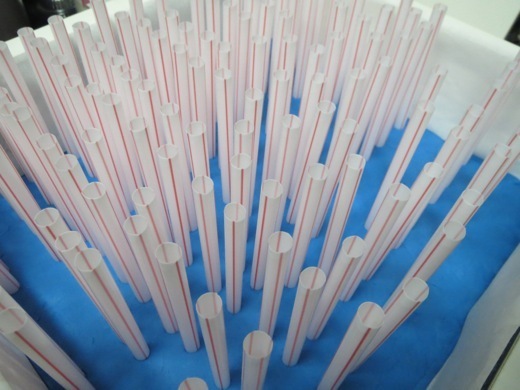 After 12 hours, the straws were removed. 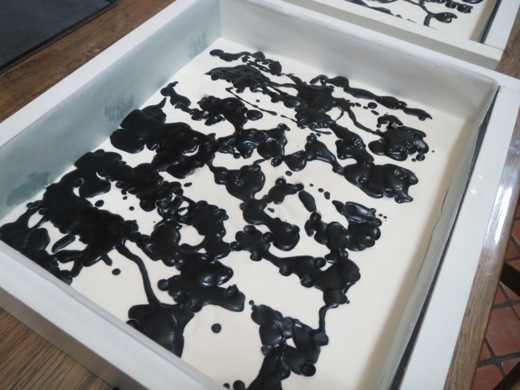 The black soap bamboo charcoal is prepared and 195 cavities are filled with this soap. 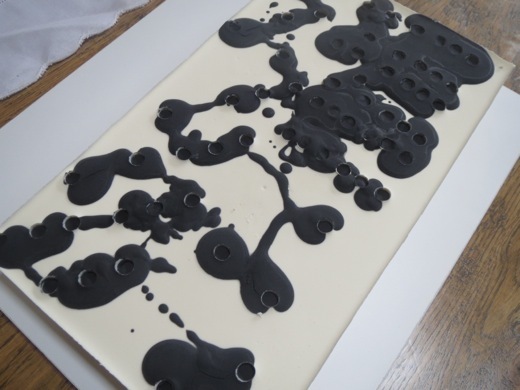 After 12 hours, the soap is removed from the molds and cut following the drawing of the template.